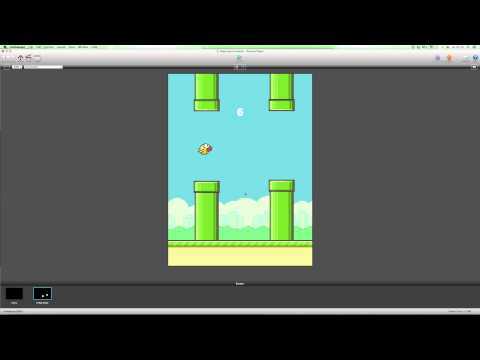 Flappy Bird! — Welcome to the GameSalad forum! 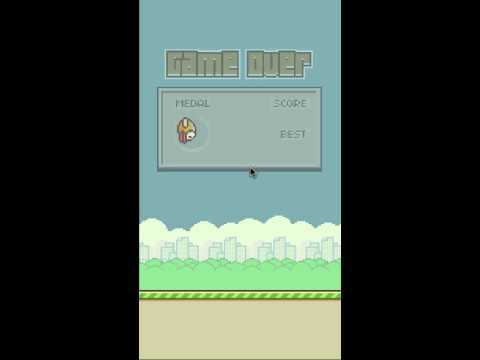 Does anyone know how Flappy Bird has become an international phernomanon in the gaming world. Does anyone know how they promoted the game? looks somewhere at the back of this post. There's a clone one on Google Play, Clumsy Bird, graphic is very nice. A gamer called "PewDiePie" uploaded a video on youtube of him playing the game, after that everyone started downloading it. That explains it lol, JayLee our 3rd party provider has sent us a template of this game so we will have one on DBA very soon. Oh, btw., I don't think that PewDiePie created the buzz around Flappy Bird, as you can see on the chart, the game was on #1 since mid-january, PewDiePie's video was uploaded on 27th But having him playing your game definitely helps to spread the word even further! Finally got to 27pts after 2 days of playing, then I see my friends posting 44pts from their first day of gameplay.. I see a bunch of BS points at 9,999. Even possible? Also...if its free and no IAP's...it it all ads making it worth $46M bucks? Just ads ? Thought this was a neat breakdown perspective of it's current success. All of a sudden EVERYONE wants to do a Flappy Bird game. The success people will have with it will be the same as trying to do a Angry Birds game now. You will get bad reviews for trying to clone it and can effect any future releases you may have. Iron Pants is a clone of Flappy Bird and that has bad reviews for being a copycat game. Only being real here. Absolutely true, @VeiraGames. But it won't stop people from trying! Pocket gamer had an interesting read as well. Proves that todays Media really do not understand what gamers do or do not want because they said if it was pitched to them, they couldn't see its appeal. It also explains the gold-rush insurgence of copycat games like Ironpants, which mistake Flappy Bird’s surprise success for a predictable design pattern rather than a confluence of accidents. "Angry Flappy Bird" coming soon.. along with "my Big bouncing blue balls".. Using just a single click you need to keep the app in the top 10 free app chart while avoiding the big developers. I hate Flappy Bird! It's no different to Line Birds or whatever which have been around for years. May as well throw our hat into the ring as well….here's one made for DBA by JayLee thats available now. Hold on! let me go make one! Try my..... Fly Piggie! The game that was gonna be a clone then I got bored and changed it up!!! Over 50 downloads in a day on a game that took me a few hours.